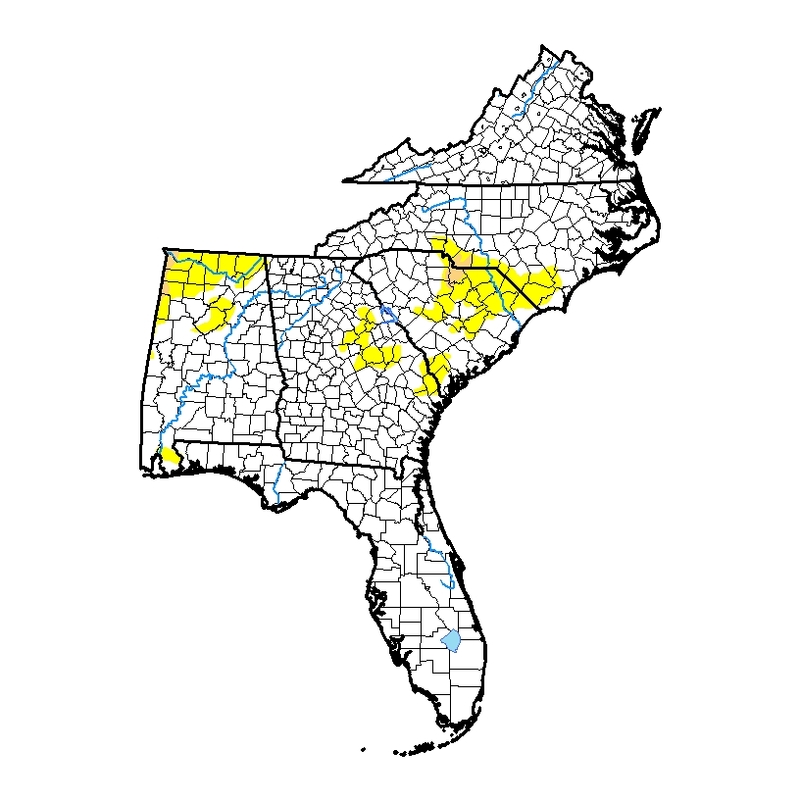 The latest Drought Monitor, released this morning, shows that a small area of moderate (D1) drought has been introduced to a small area of South and North Carolina where abnormally dry conditions have been present for several weeks. A second area has been introduced to northwestern Alabama on the border with Mississippi. 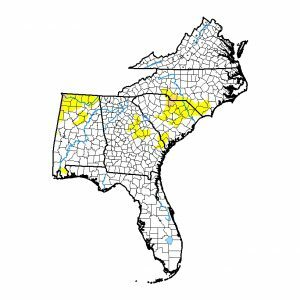 Abnormally dry areas have expanded in Alabama and the Carolinas and were also introduced into Georgia this week as most of the rain from TS Gordon bypassed the region under a ridge of high pressure.